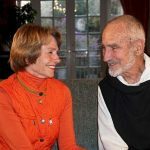 Since 1990 Dr. Francis Lu and Brother David Steindl-Rast have led annual 5- or 7-day film seminars at the Esalen Institute in Big Sur, California. Films on a particular spiritual theme (such as Healing Through Gratefulness) are shown and discussed, focusing on the participants’ personal experiences. “Love in the Families Among Us” was one of two themes in 2015. The Kid – (1921 U.S., 68’) Chaplin’s tramp cares for an abandoned baby, fights authorities from taking him away, and is finally reunited with the baby and his mother. Jackie Coogan plays the child at age 5. With Chaplin’s orchestral score newly recorded. Shows love within the expanded sense of family beyond the biological family. Was shown at the Esalen film seminar in 1992. Astu—So Be It – (2013 India, 121’ – not available commercially) An Indian film about a retired professor with dementia who wanders off attracted by an elephant to join the family caring for the elephant. He is cared by the family as his own biological family search for him. He is finally re-united. The main actor from India Mohan Agashe was present to discuss; he had been in U.S. since late April and left July 13 evening for Germany. Shown on Blu-ray; the disc was not commercially available at this time, so this was a rare opportunity to see it. It was shown at the Harvard University South Asia Institute on April 29 and the Swiss Tropical and Public Health Institute, Basel, Switzerland, on March 31to rave responses. Giant – (1956 U.S., 201’) Based on Edna Ferber’s novel, this film portrays family across 3 generations on a Texas cattle ranch. Rock Hudson plays Jordan “Bick” Benedict II who weds Leslie played by Elizabeth Taylor. James Dean, who died 4 days after he finished his shoot, plays Jett Rink. It was forward-looking for its time to address racial discrimination against Mexicans and the role of women. Nominated for 10 Oscars including Best Picture and Best Actor (Rock Hudson and James Dean posthumously), it won for Best Director (George Stevens). Parenthood – (1989 U.S., 125’) Parenthood is a very major theme for the week, and this film focuses on it. 3 families, 2 with 3 generations. Both father-son and mother-daughter relationship are the focus. With Steve Martin, Jason Robards, Dianne Wiest. Ron Howard directed. 2 Oscar nominations. Was shown at the Esalen film seminar in 1994. The Namesake – (2006 U.S., 122’) After an arranged marriage in Calcutta, a couple moves to NYC. They raise a son Gogol and daughter Sonia; we see them grow into young adulthood. A story about family love within the context of acculturation and assimilation. Tells the story of 1 immigrant family over 3 generations, which prepares the ground for the complexities of The Joy Luck Club: 4 immigrant families and 3 generations (4 generations in 1 family). Important father-son and mother-son “I-Thou” dialogues. Important events and flashback memories of the past parallel The Joy Luck Club and Beasts of the Southern Wild. Directed by Mira Nair, whose film Monsoon Wedding was shown at Esalen in 2011. Screenplay based on a novel by Jhumpa Lahiri, who was a Pulitzer Prize awardee for her first novel in 2000. The Joy Luck Club – (1993 U.S., 139’) A tapestry of the stories of four Chinese-born mother–American-born daughter pairs living in the Bay Area. The four mother-daughter “I see you” scenes are so important. Extensive use of lengthy flashbacks to tell the mothers’ and daughters’ stories. Directed by Wayne Wang. Screenplay by Amy Tan and Saul Bass based on her novel stemming from her own experiences. Was shown at the Esalen film seminar in 1994, 1997, 1998, 2001, 2006, and 2010. This will be the first blu-ray showing at Esalen. Down in the Delta – (1998 U.S., 111’) The only film directed by Maya Angelou, who died May 28, 2014. It ties in with her quotation at the beginning of the film seminar description. A Black mother in Chicago sends her drug-addicted daughter (Alfre Woodward) and 2 children to Mississippi to be with her uncle (Al Freeman, Jr.) renewing herself through contact with the extended family and past generational history. 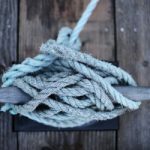 Has an elderly woman with dementia that ties in with Astu—So Be It. A simpler story to follow after the rigors of The Joy Luck Club. Prepares the ground for Lee Daniel’s The Butler on the next morning. Lee Daniel’s The Butler – (2013 U.S., 132’) 3 generations of a Black family with the central character being a Black butler working for Presidents Eisenhower to Reagan. Spanning 1925 to 2009, it shows the complexities of a Black family in face of racism, especially in the relationships between the parents and the eldest son. All-star cast including Forrest Whitaker (butler), Oprah Winfrey (his wife), David Oyelowo (eldest son) and cameos by Vanessa Redgrave and Jane Fonda playing Nancy Reagan. Based on a 2008 Washington Post article about a Black butler who did work for Presidents Truman to Reagan. Forrest Whitaker won a Best Actor Oscar for The Last King of Scotland. The Kids Are All Right – (2010 U.S., 106’) Nic (Annette Bening) and Jules (Julianne Moore) are a lesbian couple who have each given birth to a child using the same anonymous sperm donor. The teenaged brother and sister discover and befriend him to their dismay. The man appears at the home, challenging their family system. Nominated for 4 Oscars including Best Picture and Best Actress. Both Bening (for American Beauty) and Moore (for Still Alice) have received a Best Actress Oscar. 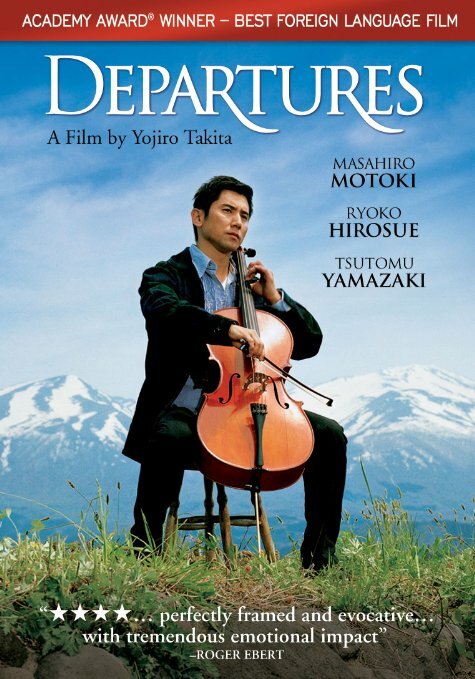 Departures – (2008 Japan, 130’) Oscar for Best Foreign-Language Film. A young man in contemporary Japan learns the ritual art of preparing the deceased for cremation. Death is treated with utmost compassion and respect as both the characters and the audience view the transience of life from a perspective of beauty imbued with Japanese aesthetic values grounded in Buddhism. A most moving film. Was shown at the Esalen film seminar in 2011 and 2013. A Roger Ebert Great Movie. March of the Penguins – (2005 France, 80’) Oscar for Best Documentary. Shows the cycle of mating, breeding, and surviving of the Emperor penguins in Antarctica so we can appreciate families outside of human families as well as the vastness and duration of the earth and its creatures, which prepares us for the next film. Narrated by Morgan Freeman. Was shown at the Esalen film seminar in 2013. Beasts of the Southern Wild – (2012 U.S., 93’) “Hushpuppy, an intrepid six-year old girl, lives with her father, Wink, in the Bathtub, a southern Delta community at the edge of the world. Wink’s tough love prepares her for the unraveling of the universe; for a time when he’s no longer there to protect her. When Wink contracts a mysterious illness, nature flies out of whack, temperatures rise, and the ice caps melt, unleashing an army of prehistoric creatures called aurochs. With the waters rising, the aurochs coming, and Wink’s health fading, Hushpuppy goes in search of her lost mother.” –Sundance Film Festival. 4 Cannes awards in 2012 including the Prize of the Ecumenical Jury: “A brilliant film debut from Benh Zeitlin illustrates the fundamental issues of freedom, human life and parental love with boundless emotion and true originality. The authenticity of the acting and cinematography are present from beginning to end. A true ode to the meaning of life, love and hope!” 2012 Sundance Grand Jury Award. 4 Oscar nominations including Best Actress (Quvenzhane Wallis, the youngest person ever nominated). Cast of non- professional actors including the father and daughter.The film returns us to the point of the view of the child seen on the first evening in The Kid with a transcendent connection with all living beings. The Salt of the Earth – (2014 GER, 110’) Wim Wenders’ documentary on photographer Sebastião Salgado. He has witnessed some of the major events of our recent history; international conflicts, starvation and exodus. He is now embarking on the discovery of pristine territories, of wild fauna and flora, and of grandiose landscapes as part of a huge photographic project, which is a tribute to the planet’s beauty. “Love in the Families Among Us” from a big perspective. Oscar nominee for Best Documentary. Cannes Un Certain Regard Special Prize 2014. Provides a contemplative point of view that will help integrate the week’s experience. Mrs. Doubtfire – (1993 U.S., 125’) Tribute to Robin Williams, who passed away in August 2014. He plays a father; Sally Fields plays a mother, with 3 children. They divorce after 14 years of marriage, and he loses custody of the children he loves. He wants to be with his children so much that he dresses as an English nanny and gets himself hired to care for them. Very moving and beautiful ending. Golden Globe Best Film and Best Actor for comedy/musical. Oscar for Best Makeup. Jane’s Journey – (2010 U.S., 107’) Documentary that traces Jane Goodall’s life work from studying the chimpanzees to saving our planet. Quiet and contemplative. Shows the love of our family earth and all its inhabitants. The Wild Parrots of Telegraph Hill – (2005 U.S., 83’) Documentary that shows a man caring for a flock of wild parrots in SF, forming a family with them.